And hot on the heels of yesterday’s post about Scottish fashion, I bring you the sounds of Scotland. So picture it – we’re sweating bullets out at Disneyland’s California Adventure Park last month, watching the World of Color show (which is really quite beautiful, if you’ve never seen it.) and they’re projecting a few familiar scenes from Disney movies of yesteryear upon this wall of water and then… they play this song that literally transports me out of the sticky summer heat of Southern California and into a lush green meadow near Stirling. 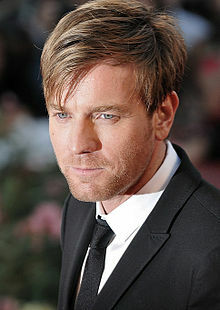 It’s a Scottish song, with bagpipes, sung by a sweet honeyed voice and it leaves me breathless. 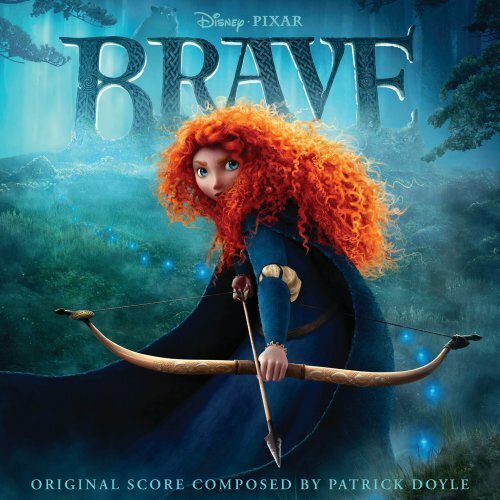 The song was from “Brave.” Julie Fowlis’s “Touch the Sky.” I’ve not seen “Brave,” but days later, we bought the original soundtrack on iTunes and weeks later, it’s still what we’re listening to. If you haven’t heard it yet, do yourself a favor and check it out. Especially if you love Scottish music in the vein of Kate Rusby, John McCusker, Battlefield Band, or want a quick introduction into the genre. My husband subscribes to the Wall Street Journal on Saturdays, which is their weekend edition, and I must say, it is a very good read – not so much for the financial news, but for fun, whimsical, eye-catching and well-written stories on food, wine, travel, fashion, culture and lifestyle. It’s the kind of reading that pairs best with a hot cup of coffee, freshly made pancakes and a morning at home with nothing pressing to do. It might be the closest thing to a good British weekend newspaper in America. I should add the Financial Times in the U.S. comes at a close second – not sure what the correlation is between financial newspapers and a good lifestyle section, but there clearly is a correlation. I also like that the financial newspapers doesn’t come preloaded with all the normal weekend tat that’s weighing down other American newspapers – coupons, sales flyers, Parade Magazine, need I say more?. But I digress. I was a little behind on my WSJ reading and just went through the Aug. 27 paper (don’t judge…). The front page of Off Duty was this: “The Scottish are Coming.” If you never thought that the kilt would make its way to our shores, well, read on … I’m loving the tweed and tartan, the wool and the Fair Isle. They form the foundation of my idea of the perfect fall wardrobe. Today is the day to celebrate the life and work of Scottish poet Robert Burns. It’s an evening to eat, drink, read great poetry (including my favorite Burns poem), play the pipes (particularly when “piping in the haggis” before sitting down and enjoying it) and finishing the night with a wee scotch. I have fond (but fuzzy) memories of Burns Night in Scotland, thanks to the gracious hospitality of Scottish friends who were keeping with tradition. Check out a typical running order of the evening. I’ve always been particularly impressed by how scripted this dinner at home can be. 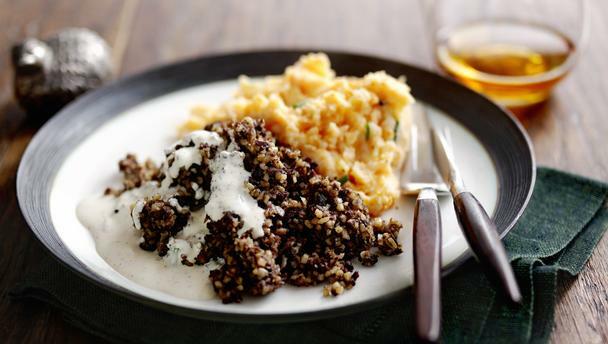 And if you have no idea what to cook for Burns Night, BBC Food has compiled an array of appropriate dishes (including some vegetarian options for the offalphobes in the house). Personally, I’ve only ever eaten the vegetarian version of haggis (and it really was delicious)!